Does Congress Really Care About Our Kids? Installation of physical barriers (such as a fence) around a pool to prevent children’s unattended access. 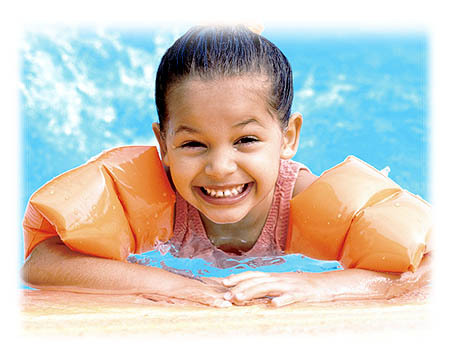 Public awareness campaign regarding the importance of active supervision of children at or near a pool. If we as parents don’t recognize how dangerous a pool can be, how will congress understand the urgency to pass this legislation? The good news is that some states are addressing this problem on their own. Most recently, New York state passed a law which requires an alarm be installed on any pool constructed after December, 2006. With drowning being the second-leading cause of unintentional, injury-related death for children under the age of 5, we as parents need to start recognizing how dangerous a pool can be. Unfortunately the most recent incidents have involved children drowning in a neighbor’s pool so it is crucial that everyone have layers of safety for their pool. Let your Congressional representative know that this is a priority to you as a parent and let’s all help save some lives! Only 49% of parents are watching their kids at the pool?!?! That’s scary! We need to draw attention to that number, Alison and start saving more lives! One thing that crosses my mind when I hear of children drowning in backyard pools is – where are the parents? Each accident is a tragedy and we need to do all that we can to prevent them from being able to happen, but parents need to watch their kids. Don’t ever think your 3 or 4 year old is beyond a pool accident no matter how many swimming lessons that they have. There’s no count on how many lives Congress would be saving by mandating pool fencing and safety education. Great Posting!! My attention is always on my son whenever he is in a pool. He’s a great swimmer but just to be sure. Information is the key. If more parents knew how often this happened they might be a little more present when their kids are in danger. Unfortunately, parents do become more complacent once their children have learned how to swim. The reality is that they could panic if something happens and you can never assume they won’t drown just becase they know how to swim. Great posting, wonderful awareness. Unfortunately, in the case of entrapment, a mom could be holding her child’s hand and tragedy can occur. The vacuum force on the pool filtering system is unbelievably powerful. In some cases two or more adults were unable to pull children off of the drain before they drowned. That is why the layers of protection are necessary for these pools and spas.